Graffiti writer Tox has been jailed for more than two years are being found guilty of seven counts of criminal damage. British Transport Police released a statement describing how Tox, aka Daniel Halpin, was an"unemployed student" and caused "disruption to passengers" through his vandalism of property across England. "Daniel Halpin (24), of Camden, North London, was jailed at Blackfriars Crown Court on Friday, 15 July after he was earlier found guilty of seven counts of criminal damage." The 27 month sentence came after Banksy created a mural at Camden in Tox's honour. Will throwing Tox in the slammer deter other 'unemployed scumbags' from tagging? Or is it justified because "he is no Banksy"? Street art is illegal. The more prolific you are the more likely you are to get caught, it comes with the territory. To just say that taggers are prolific would be being nice to them, & he had been tagging for a looooooong time! So when you're busted you either take it on the chin or you get your rich parents to bail you out. Such is life. One day 'Banksy' will get busted, it'll be interested to see how the police charge him & how various groups of the public will treat this news. Yes - punishment is always a threat to writers, famous or not. 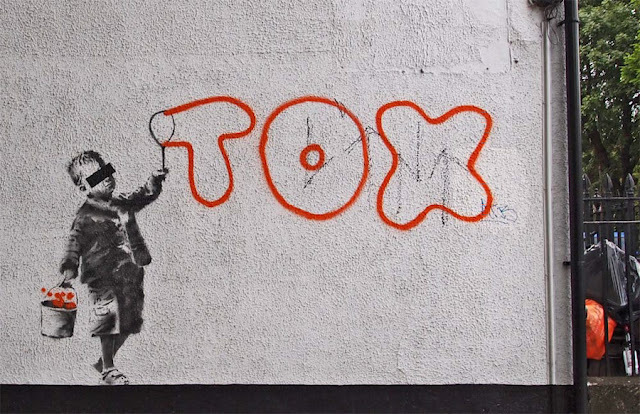 However, I highly doubt Banksy would ever do time as the backlash would be much greater than for Tox. It would be a political headache. 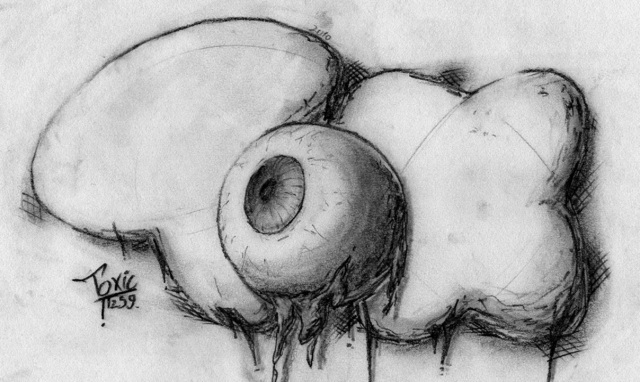 Tox is an interesting case. If a writer becomes successful, they have the option of supporting themselves off commissioned works. If they continue working illegally they risk being in the spotlight and made an example of. True, I don't think Banksy would ever get sent away, he has waaay too much middle class support to do any time. I know a few Sydney 'street artists' that have got-out-of-jail-free at least once due to family connections or wealth.